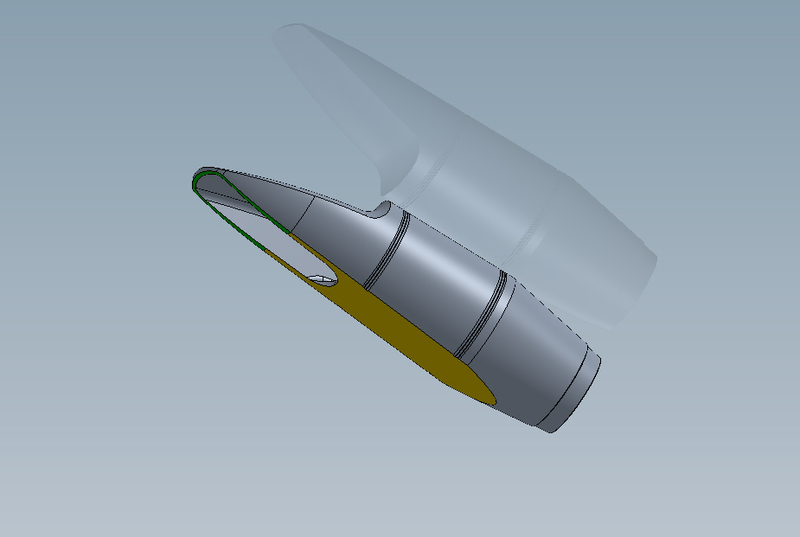 With the use of Computer Aided Design software (CAD), the fundamental elements of a saxophone mouthpiece, such as the facing type, and chamber size and shape can be manipulated with precision for optimum playability, response, and sound characteristics. Once a design has been drawn up, a prototype is manufactured on a 3D printer. At this stage extensive play testing occurs, which includes among other things tests for response, intonation, volume and projection of sound. The prototypes are tested in different musical situations such as solo, chamber, and large ensemble settings. Our classical mouthpieces are tested by Andrew with the Philadelphia Orchestra. Once the design is complete, the finished product is manufactured out of premium rod rubber via Computer Numerically Controlled machining (CNC).